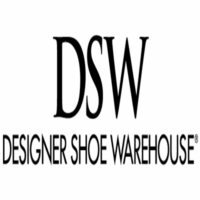 DSW Designer Shoe Warehouse is a brick and mortar retail store and online shopping experience offering fabulous, name-brand shoes at a great value every single day. There are more than 400 stores nationwide selling thousands of styles of shoes, handbags and accessories. DSW application link is located at the bottom. DSW values great quality at an even greater price making deal hunters happy. They also strive to bring happiness to the communities in which they reside. The company’s philanthropic platform called Shoe Lovers Care is where the business and its associates weave non-profit work and giving into the DSW fabric. Leave Your Mark, an internal corporate program, donated $75,000 to the National Parkinsons Foundation last year. With headquarters in Columbus, Ohio, DSW opened its first store nearby in Dublin in July of 1991. President and Chairman, Jay Schottenstein, first began working for his father’s company, Schottenstein Stores Corp. in 1976 and has since served as Chairman of American Eagle Outfitters and replaced his father as head of Schottenstein Stores Corp.
With a corporate heart for community and sustainability, DSW, Inc. lists their values as Passion, Accountability, Collaboration, and Humility and they are proud to be an equal opportunity employer. The company culture strongly encourages personal initiative and quality performance is expected, striving to make each employee successful by highlighting their strengths. You can apply for jobs at DSW online. In 1998, DSW, Inc. was acquired by Value City Department stores and later consolidated by Retail Ventures along with several other Value City subsidiary brands. To this day Retail Ventures retains 60% of DSW, Inc.’s outstanding shares. DSW, Inc. is a publicly traded company on the NYSE using DSW as the ticker symbol. Retail store positions are available nationwide and have a wide range of salary expectations. Entry-level positions may be Sales Associate or Stock Associate. These positions should anticipate slightly higher than minimum wage page and store discounts. An upper-level career, such as Manager and Assistant Store Manager can expect more compensation and full benefits as they are fully responsible for customer satisfaction and store excellence. There are fewer corporate-level positions currently available so it is imperative that you check their website to find all corporate DSW job opportunities. Calling themselves America’s favorite place to work, the corporate office is currently hiring candidates for their ecommerce department including IT Technical Lead, Senior Director, and Site Business Analyst. These positions offer strong salary and full benefits, so go in with a strong resume. You must be at least 16 years of age to work at local retail stores and be able to provide proof of legal authorization to work in the US. Corporate-level positions may have different requirements. To make sure you meet all qualifications, find and download application form before applying for any DSW jobs online. They have a strong benefits program offered to employees. However, depending on position, some of these may not be available to you. The package includes medical, dental, vision, prescription drug coverage, health savings, life insurance, long- and short-term disability, 401k, paid time off, paid holidays, associate store discount and more. At corporate headquarters the hours of operations are Monday thru Friday, 9:00 a.m. to 10:00 p.m.; Saturday, 10:00 a.m. to 10:00 p.m.; and Sunday, 12:00 p.m. to 9:00 p.m. ET. Stores will vary but may be Monday thru Saturday, 10:00 a.m. to 9:00 p.m.; and Sunday 11:00 a.m. to 7:00 p.m. Check website to be sure and take a moment to review all the DSW careers and apply online. Sales Associate – The Sales Associate responsibilities include customer engagement, merchandising, cashiering, and maintaining a clean and organized store with a friendly atmosphere. They should be knowledgeable about store products, shoe fits and accessories. While no retail experience is required, applicants must have a high school diploma, good communication skills, and be able to operate a terminal keyboard. They can expect nearly $9.50 per hour. Store Manager – This role is accountable for maximizing store results by maintaining customer satisfaction, and team efficiency; and be able to meet business goals by increasing foot traffic and sales. They will have excellent communication skills and should have an associate’s degree or equivalent work experience, plus four years retail managerial experience. Travel may be required. Compensation averages $69,000 annually. Stock Associate – According to the job description, the Stock Associate is responsible for stocking the sales floor, organizing the stock room and sales floor, preparing merchandise, moving merchandise, processing shipments and general housekeeping. For this role some retail experience is preferred along with a high school diploma or equivalent. Applicants should expect $9.74 per hour. IT eCommerce Technical Lead – This corporate role should average $83,000 annually and requires a strong technical leader who is capable of delivering big improvements to the website. The perfect candidate will successfully serve as project manager making sure deliverables are met and interface between teams and report to management. The applicant should have a bachelor’s degree in computer science or related industry and be well-versed in Java/JEE. Interviews at the retail store will be pretty straight forward while corporate interviews will require more preparation; use the interview questions below to prepare. Why do you want to work in this industry? Just because this is a retail store, refrain from answering with how much you love shopping. It is OK to express an appreciation for the product but try to focus the answer on how you desire to grow and learn more about retail marketing. Why are you leaving your current role? If this will be your first job, then you will not need to answer this question. However, most applicants will be moving from one role to another. Show an appreciate for your current role and what you have learned, but that you are now looking for a new challenge and DSW seems like the best place to grow. Why should I hire you? This is your chance to sell yourself. State your value by highlighting your specific strengths. Consider things like your ability to take personal initiative or the quality of your education and experience. Quickly list any unique skills that would be applicable to your work with DSW. How would you describe good customer service? Try giving an example of when you showed someone good service or when someone else provided good customer service to you. You may also want to highlight that good customer service would include a thorough knowledge of your product and the ability to listen to the customer. How would you handle technical troubles, such as the credit card machine being out? First, explain how you would be able to stay calm and have a great ability to think on your feet. You may answer that you would start by suggesting the customer use another form of payment. Or you could offer to hold the merchandise. Most importantly, know company policy. Tell me about your leadership skills. The interviewer wants to hear a specific example of when you led successfully on a project or how you helped your team grow by displaying daily leadership qualities. The best answer would give details about how you executed specific deliverables within a team environment successfully. First, review the website for how to apply for DSW online and double check all the job requirements. While online, find a printable application for DSW or use the DSW application online application system. Keep in mind that some entry-level position applicants would be better off to download a printable application form and personally deliver it to the store’s General Manager by direct application. The interview process at local retails store locations and corporate offices will be very different. Entry-level positions are much more informal while applicants to corporate-level DSW jobs will need to present a more professional persona. All applicants should aim to dress for the job they want. As you contemplate a job with DSW, complete the free application or download the printable application form. Corporate applicants will need a robust resume that showcases their work history. Also, all education and certifications should be included, even if they aren’t applicable to the job. For example, a SCUBA certification will not be applicable to the job but will show the interviewer that you are able to set a goal and achieve it. When listing references on your applications or resume, make the reference aware that you have added them as a reference and that they should be prepared to answer any company questions when called upon. Ask them how they would describe you to the interviewer so you can be prepared for what they might share. When attending your interview, make sure you are attentive, well practiced, and knowledgeable about the role and the company. Be fifteen minutes early if at all possible. Show genuine interest by making eye contact and putting away electronics. And, when the interview is over, send a handwritten thank you note immediately. Even if you aren’t offered the job, this will go a long way for future employment opportunities.